I was given some physalis seeds at the beginning of the year. Physalis is one of those fruits I buy occasionally and then never know what to do with them. They look little a small orange tomato, wrapped in a papery case, and I find it very hard to describe the taste - sweet and fruity with a tart note is about as much as I can manage. I didn't feel they would be very appetising cooked. 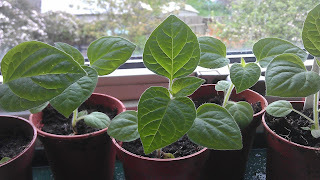 I also wasn't sure why I might want them: physalis plants spring up self-seeded every year, germinating from the kitchen compost. So we buy them occasionally from the supermarket and snack on them. 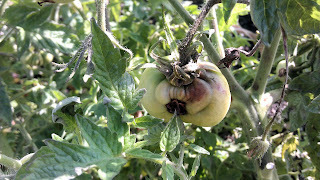 A few overripe ones get thrown in the compost and it is presumably these whose seeds germinate later on the allotment - often intermingled with some enterprising tomato plants which self-seed the same way. 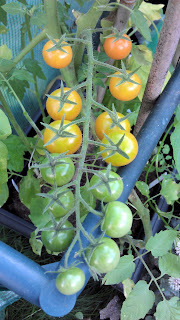 These 'volunteer' plants never seem to set fruit (the self-seeded tomatoes never seem to get blight, either). Physalis are related - fairly closely - to tomatillos, and also to tomatoes and aubergines. They're part of the botancial family Solanaceae. Solanaceae is the nightshade family, but don't let that put you off. They're also known as Cape Gooseberries, groundcherries, Chinese Lanterns (usually the more non-edible varieties, grown for the lantern-like seed cases) and improbably enough, golden strawberries. The one you'll most often see in British gardens is Physalis alkekengi, which is hardy in winter and bears the bright orangey-red lanterns. 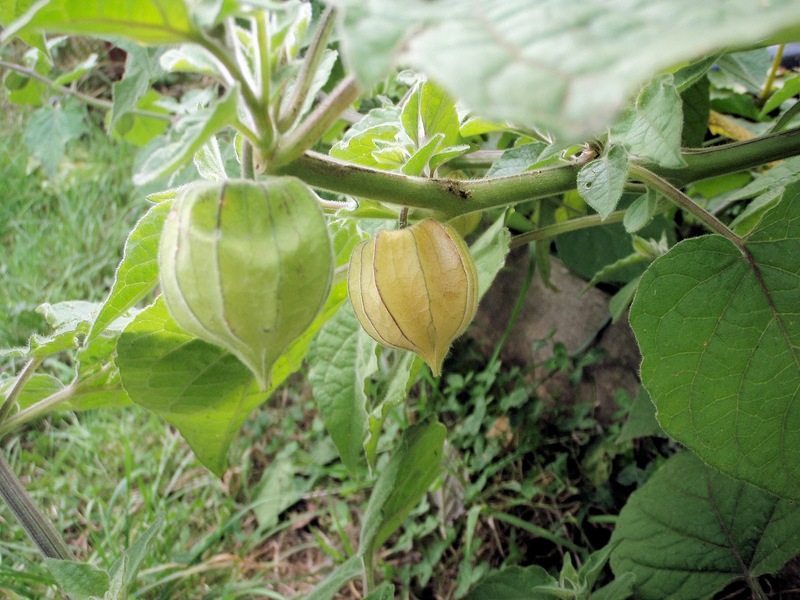 The name Cape Gooseberry is often associated with the edible plant, Physalis peruviana - the 'cape' in this instance isn't a geographical cape harking back to the plant's origin, but the item of clothing, referring to the case which covers the fruit. They grow in sub-tropical and temperate climes, and, I have discovered this year, in a cold wet summer in London. I thought it might be interesting to grow some physalis on purpose and see just how many fruit we could raise. 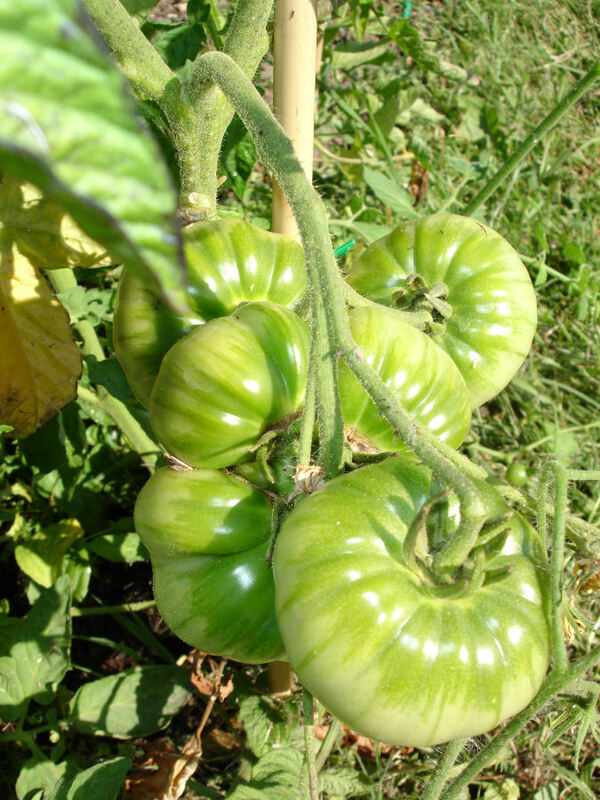 We were also growing tomatillos at the Secret Garden Club and I wanted to make a comparison between two such close relatives. I treated the physalis seeds as if they were tomatoes or aubergines: sowing them (a bit late) at the beginning of March, two to a small pot under a cloche, and leaving them to germinate indoors in warmth. 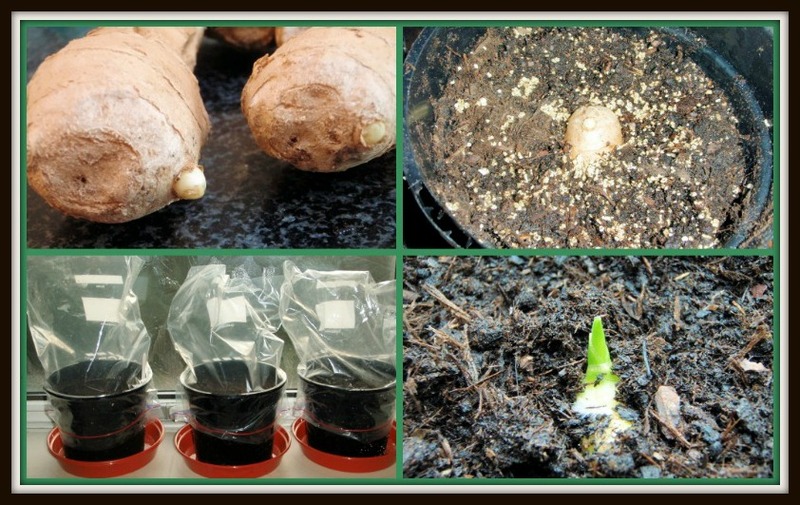 The seedlings were up two weeks later, and grew quickly in their pots, uncovered, on a sunny windowsill - see above. 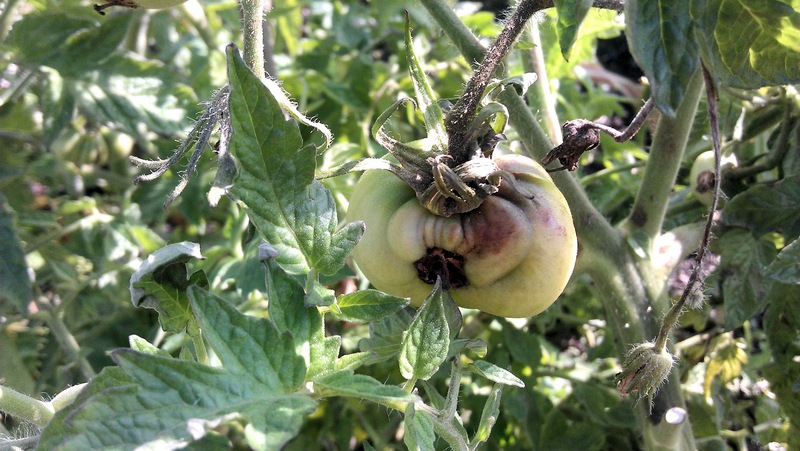 By the beginning of June, they looked as though they might need staking in their pots. I also desperately needed the windowsill space to bring on the pumpkin seedlings and so, despite the fact that it was pouring with rain every day, out the physalis had to go, transplanted to a sheltered, south-facing bed on the allotment (left). 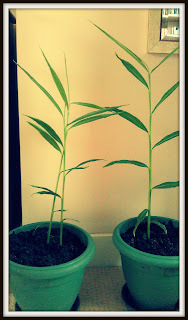 They grew on vigorously despite the inclement conditions, and yes, by July they did need staking. They also came into flower, the flowers closely resembling those of tomatillos. 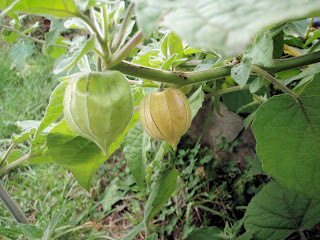 In fact the general growth habit of physalis and tomatillos are similar, although the physalis are sturdier. The tomatillo plants were almost flamingo-like with their long spindly stems supporting multiple branches. 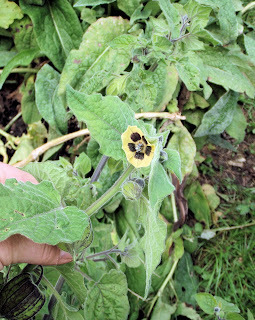 The downy heart-shaped leaves of the physalis are a darker green and wider than those of the tomatillo. comfrey plant. You can also see several immature green fruits developing. 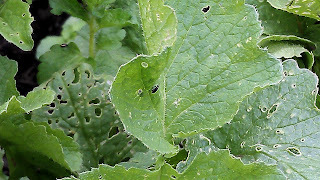 The fruit starts developing inside the green cases in July/August. 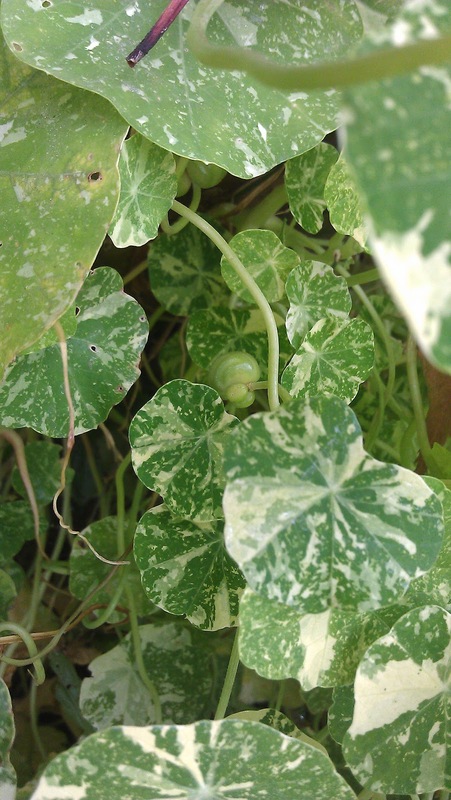 If you gently squish the green teardrop-shaped lanterns between your thumb and forefinger you can feel the fruit, at first just the size of a pea, then growing bigger and bigger. 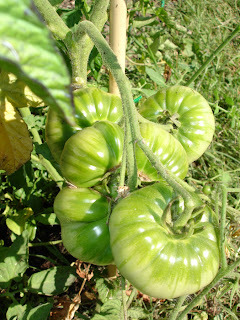 Unlike the tomatillo, they don't split the casing, but when the husk turns brown from green, the fruit inside is ripe. An unripe physalis fruit in the foreground, with one ripening behind it. Trying out the first ripe fruits, the taste was a revelation. Having never eaten a physalis that hadn't spent most of its days in a supermarket before, I was unprepared for any complexity or depth of flavour. But that ill-defined fruity-and-a-bit-tart is so much rounder and syrupy - and yet still with a threat of tartness. Now I can see why you might want to make jams or jellies (and definitely a pavlova) from them. If all physalis tasted like this, we'd do so, so much more with them. With autumn bringing a bracing chill to the air even on sunny days, and even colder nights, it's time to accept that the summer crops are over. Whatever fruit they have produced, they won't be producing much more. With that in mind, it's time to finish up the remains of some vegetables, and to deal with the gluts in other areas. This year, I've been making lots of simple pickles, experimenting with different flavoured vinegars and aromatics to give the preserved veg a bit of extra zing. Earlier this year I discovered using apple vinegar, thanks to Mia Christiansen and Anna Colquhoun, at their Nordic Cooking Class, and I've used this successfully as the base for pickled quinces and pears, and also pickled beetroot. Last year, I pickled beetroot in horseradish vinegar and while it was delicious, it was also hot enough to blast us from one end of the room to another. Apple vinegar - or cider vinegar, they're the same thing - has made a much softer, more rounded flavour to the pickle. The beetroot are small, no more than the size of a ping ping ball, because the beets that go in the autumn pickle are the leftovers from the summer crop, the ones that for whatever reason, never really swelled and made it - too many of them the yellow Touchstone Gold variety this year as well. They're small enough to be pickled whole. Clean the beets and place in a large pan. Cover with cold water, bring to the boil and simmer until just cooked. Much depends on size, but ping pong ball sized beets should be ready after 20 minutes. Drain and let the beets cool. Meanwhile sterilise a jar into which the beets will fit snugly. 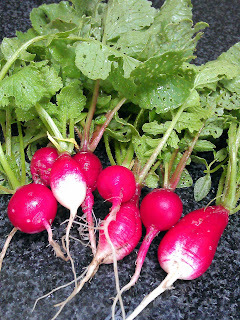 When the beetroot is cool, slip off the skins and trim the root and stem. Pack the jar with the beetroot and aromatics. In another jar, add 10g salt to every 400ml apple vinegar. Put the lid on and shake the jar vigorously to dissolve the salt. When ready, pour the vinegar/salt solution over the beets so that they are covered. Seal and store in the fridge. Aside from the question of whether to cook the vegetables or not, the pickling method stays mch the same whatever you are pickling: bring vinegar, salt, and also sometimes sugar, plus herbs and spices to the boil. My husband can't tolerate the smell of boiling vinegar in the house, so I, a) wait until he's out for the day before doing any pickling, and b) heat the vinegar, salt and sugar up in the microwave, as it seems to contain the smell a bit better than on the open hob. 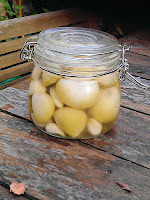 Pack a sterilised jar full of your chosen vegetables, then pour the hot vinegar solution over them. Seal the jar, let it cool down then store in a cool place. I took much the same route with elephant garlic. These crop produced 4-5 mature bulbs, each with 7-8 mighty cloves; I think the rest of the plants must have got waterlogged this year. After roasting one whole bulb to mash and serve alongside a Sunday roast, I was left with just enough elephant garlic to pack a 500ml Kilner jar. Have a sterilised jar ready. Peel the garlic cloves, leaving them whole. Place the vinegar, water, salt, sugar and any aromatics in a large pan and bring to the boil. Simmer for five minutes then add the cloves. Bring back to the boil and simmer on for another five minutes. You can do this in the microwave if yours has a good simmer function. Pour everything into the sterilised jar and seal. 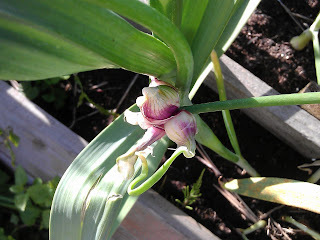 If the elephant garlic has been disappointing this year, like so many other crops, it's also worth noting the successes. 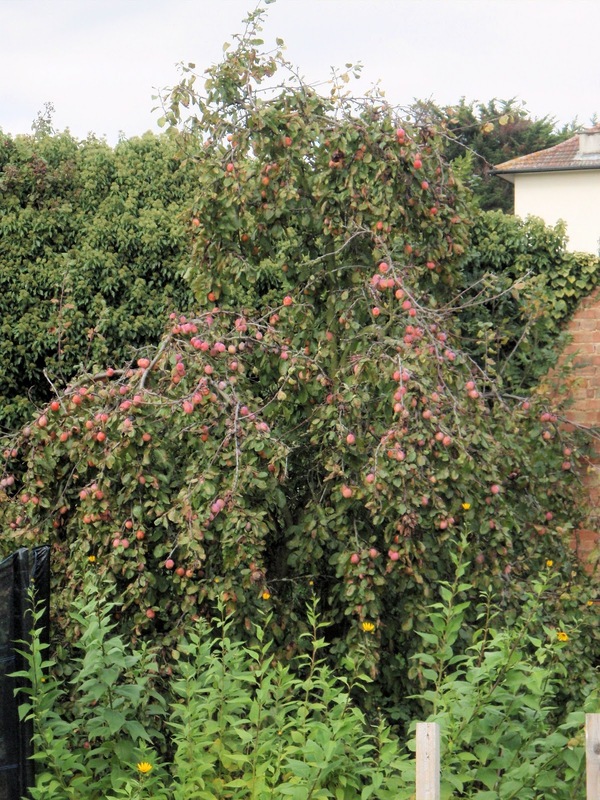 I have a very old plum tree - I say very old, but I've no idea exactly how old it is, as I inherited it from the previous allotment holder. Its branches are covered in lichen, and there is no sign of a graft at the base of the trunk so I assume it is self-seeded, or planted before grafting became the norm? 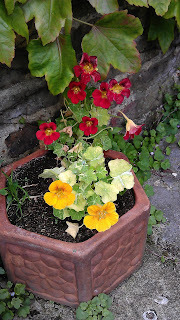 Thanks to this blog, The Garden Diaries, I think I have identified the variety as a Warwickshire Drooper. 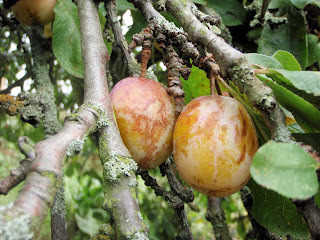 Certainly the tree has a somewhat weeping habit, and the plums themselves are yellow, blushed pink where they are exposed to the sun, and also sometimes with a slightly mottled look to them - they are not smooth and supermodel glossy. The tree is mainly notable for its prolific consistency. 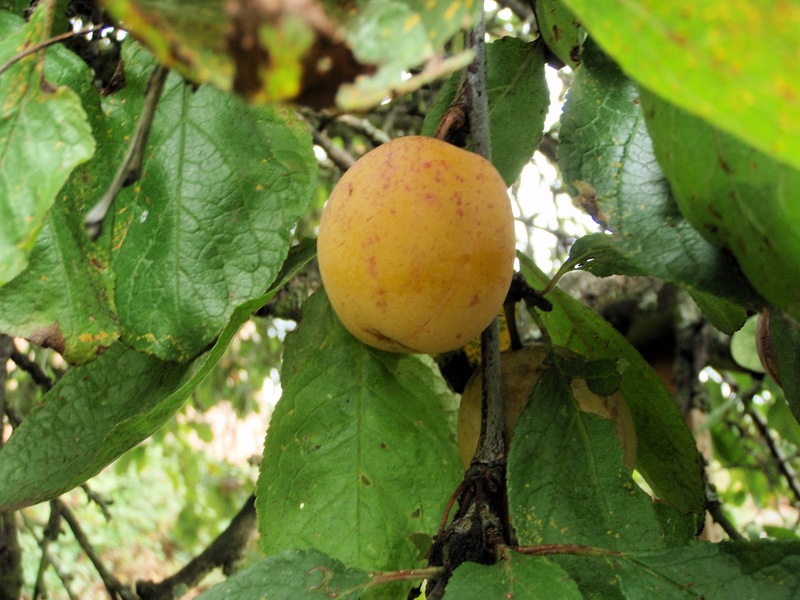 Since I started work on this particular allotment nine years ago it has produced an astonishingly large number of plums every single year - and this year it has surpassed itself. Every single branch is laden with fruit. I simply cannot cope with all these plums, and in addition to sheer numbers, this year the fruit has been entirely free of plum sawfly larvae. Most years, despite the greaseband around the trunk and despite the fly trap hung among the branches, a few get through and worm their way into the fruit. This year, none at all. 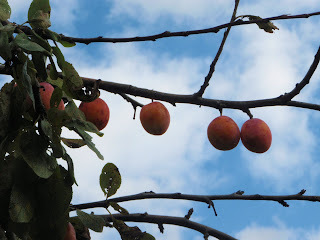 So, we eat plums straight from the tree. I've made plum crumble and an approximation of Chinese plum sauce. And every year I make up a big jar or two of pickled plums and we eat our way through them over the course of the following year. Tart and fruity and fragrant all at the same time, they go brilliantly with pork, with duck and game, with cheese, and perhaps a bit more surprisingly, they are fantastic with Thai fishcakes. Put the vinegar, salt, sugar and aromatics into a pan and bring to the boil, making sure all the sugar has dissolved. While the vinegar is heating, wash the plums, halve them and remove the stones. 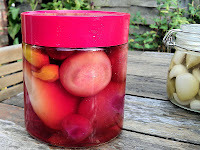 Pack the plums into 2 x 1 litre Kilner jars, which have been sterilised (40 halves per jar). Once the vinegar mixture reaches boiling point, take it off the heat and pour over the plums, making sure that each jar gets an equal number of star anises, chillies, cloves, etc. 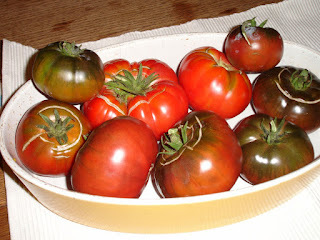 (You could scoop out the aromatics before they boil and add them to the jars when they are about halfway full of plums.) Seal the jars and let them cool down at room temperature before transferring to the fridge. These pickled plums last about 3-4 months (less if they were pretty ripe when picked) before going a bit slushy and syrupy. They are ridiculously easy to grow. 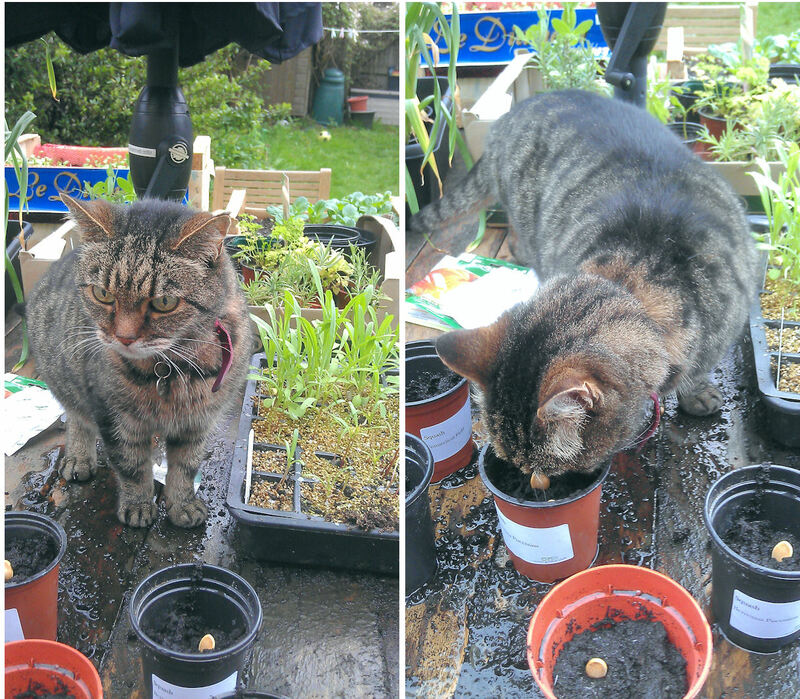 Each year, around April (or May, at a stretch) I push a few seeds into the soil where I want them to grow and water them in. After that, I treat them with benign neglect and they seem to like it. 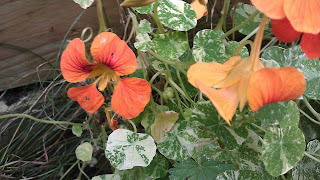 Nasturtiums are great in the kitchen too. 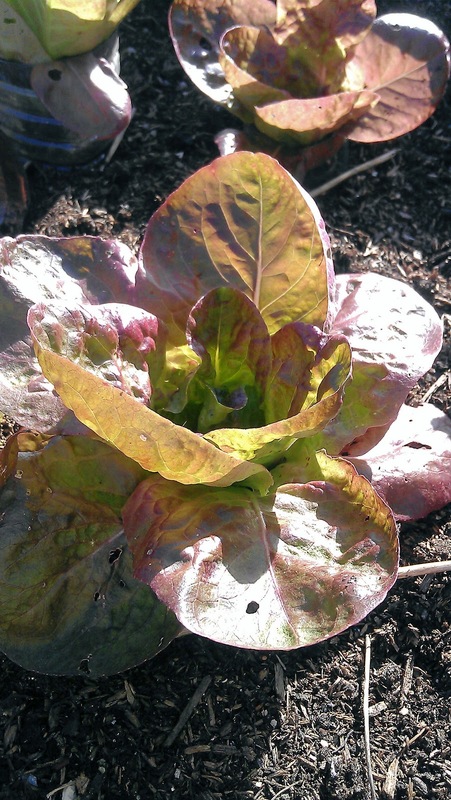 Shredded, the leaves make a succulent, pungent addition to a salad. Or you can mash up some herby cheese and roll it up in a nasturtium leaf like a cigarette. The flowers are also edible, lending a delicate peppery taste and soft texture to a salad, or scattered around a whole fish in a centrepiece, or just as a beautiful garnish to a vegetable platter. When the flowers finally fade, around now, they leave behind little green seedpods. 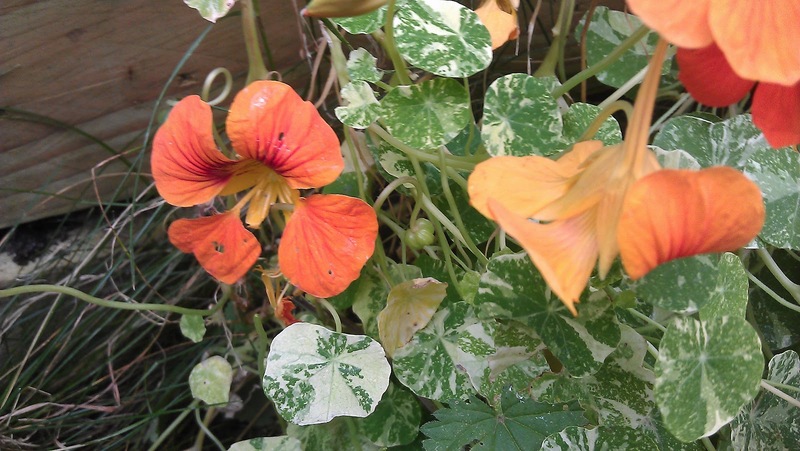 Brush your fingers through a tangle of nasturtium plants and you'll see them drop to the ground, the size of peas and a pale jade green. 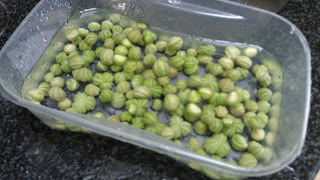 These seedpods too are edible, if pickled in vinegar, and have long been called 'poor man's capers'. They mellow with keeping, with a nutty taste and firm not-quite-crunchy texture. Good enough for everyone, I'd say. Nasturtium seed pods, still green, to fill a measuring jug to the 200ml mark. Wash and pick over the seed pods, removing any dirt, chaff, blackfly, whatever. Give them a good final rinse and dry on kitchen paper. Sterilise a jar that will fit the nasturtiums snugly – a complete dishwasher cycle should do the trick, or wash in very hot soapy water, then dry by placing the jar upside down on a rack in an oven heated to 120 degrees. Rinsing the seedpods prior to packing in a sterilised jar. Put the bay leaves in the bottom of the jar and fill up with the seed pods. Bring the vinegar, fennel seeds, peppercorns and salt to the boil. I do this in a jug in the microwave – the vinegar smell is less pervasive. Then pour the liquid and aromatics over the seed pods in the jar. Seal and let the jar cool before storing in the fridge. They’ll keep for a good six months if kept chilled. 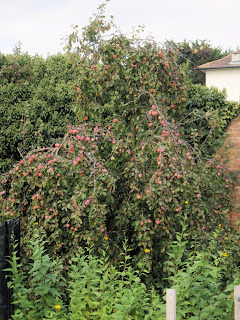 Not all the plants have suffered in the cool, wet and windy conditions that prevailed here in the south of England for much of the spring and early summer. 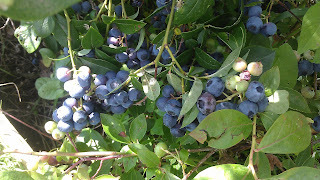 The blueberry plants, snug in their sunken pots of ericaceous compost, loved the daily soakings and produced a massive glut of fat indigo berries. Blueberries need an acid soil (lower than pH5.5) and London clay on its own isn't nearly acid enough. 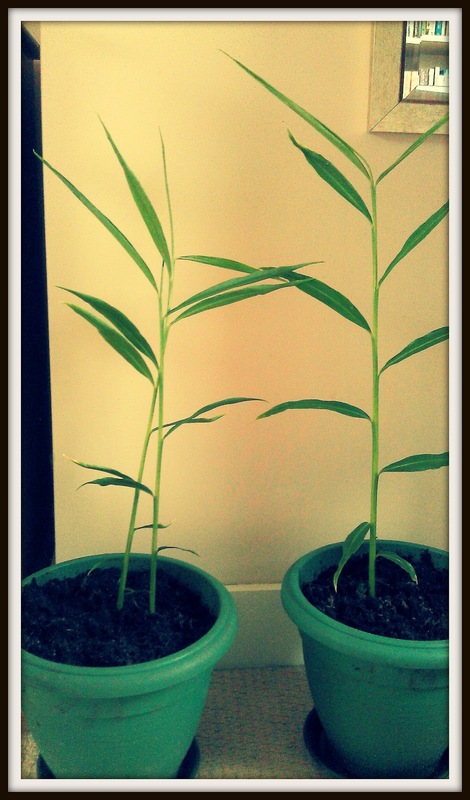 So each plant occupies its own 35cm pot, and each pot is sunk into the soil so that the tops are at ground level. Sinking the pots reduces water loss, which is helpful since blueberries also like plenty of water. A yearly topping up of ericaceous (acidic) compost keeps them fed, and I also spread the shredded needles Christmas tree around the foot of the plants as a mulch in January. This year, seven blueberry plants have produced around 6kg of fruit so far. I'm still picking enough each day to sprinkle over breakfast cereal. But what to do with the rest of them? 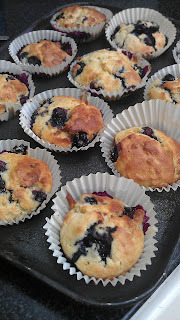 Blueberry muffins was an obvious choice since the homemade variety is invariably so superior to anything shop-bought. I used Nigella's recipe from How To Be A Domestic Goddess, also reproduced here: http://www.mumsnet.com/Recipes/i/1203-Blueberry-muffins. But blueberry muffins will only make a small dent in the glut. In the past, I've made a blueberry tart with a blueberry-flavoured custard topped with the fruit, but the custard always cooks to a brown colour instead of mauve or deep purple - it's the blue of the blueberries mixed with the orange egg yolk. It's a real 1970s wallpaper brown and doesn't look very appetising. So this time, I went for a more conventional vanilla custard underneath the blueberries. I wanted this to look like something you might buy in a French patisserie, and knowing my limitations, used a bought ready-made sweet pastry case. Heat the oven to 190 degrees. Take the pastry case out of its wrapping and place on a baking tray. Beat the egg yolks, cream and sugar together until smooth. Add the vanilla extract to taste and whisk well in. Pour the custard into the pastry case and bake in the oven until set - about 25 minutes. Leave to coll, then spread a thin layer of blueberry jam (see below) evenly over the custard. Stud the top of the tart with raw blueberries - the jam helps to stick them to the top of the tart but isn't essential. Dust with icing sugar to finish off. 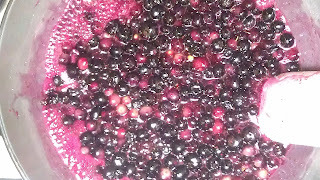 For the first batch of jam, I followed the recipe from the National Trust's Jams, Preserves and Edible Gifts. This calls for 850g sugar to 900g blueberries and was far too sweet for my taste. For the next batch, I reduced the sugar and used 350g ordinary granulated sugar and 250g jam sugar. 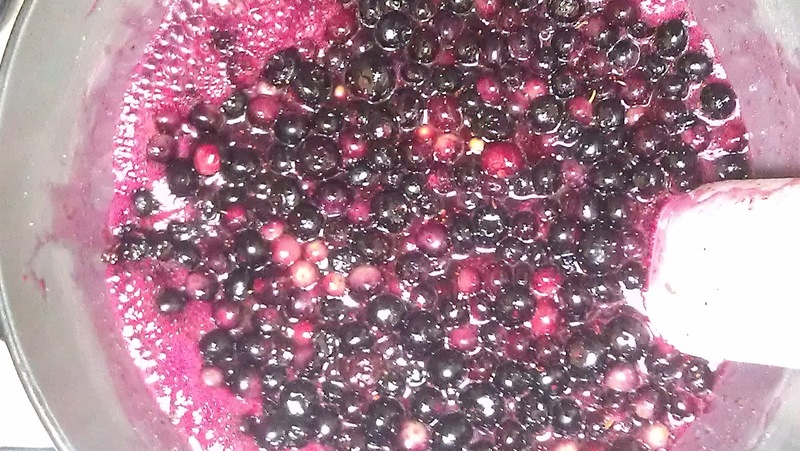 I also had 300g blackcurrants left over from harvesting the blackcurrant bushes and added these too for extra bite. I left the blueberries to steep in the ordinary sugar, lemon juice (one lemon's worth) and a pinch of salt overnight. The following day I added the jam sugar, and boiled it up - it reached setting point in about 10-15 minutes. An incredibly simple recipe from Preserve, published by Hamlyn. For every 175g blueberries, use 50g caster sugar and 100ml of kirsch. 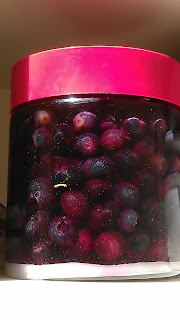 Layer the blueberries and sugar in a sterilised jar, add the kirsch and seal. 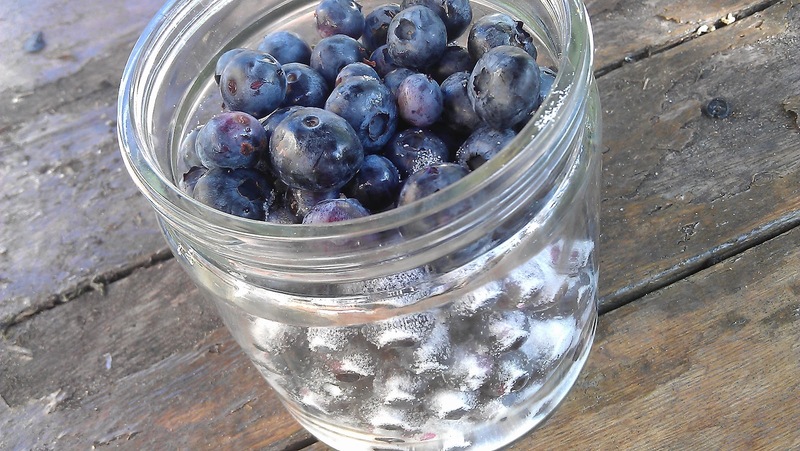 Shake the jar every day until the sugar is dissolved then leave in the dark, unopened, until you want to use the blueberries. I nearly forgot to take cuttings this year. With all the unseasonably cold and wet weather, it's been hard work just keeping the weeds down and taller plants staked against the wind. Late spring to early summer is the best time for taking softwood cuttings: creating new plants from the green stems and tips of this year's growth. 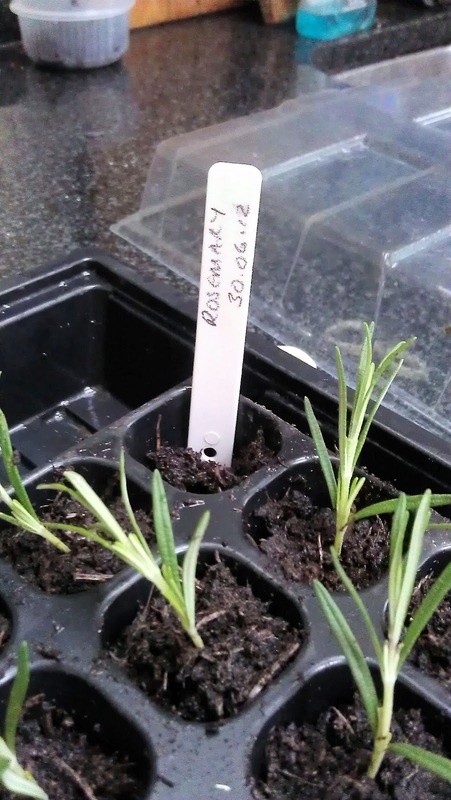 Rosemary, lavender, lemon verbena, fuchsia and hydrangea are all easy to propagate this way. This year I've concentrated on rosemary and lavender as I want to restock the herbal bed at the allotment next spring. 1. Choose your cuttings. Snip non-flowering growing tips from the plant. 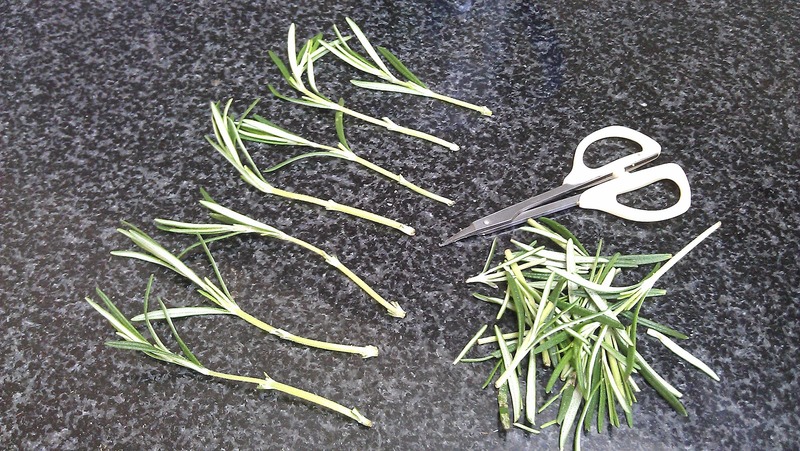 Cut cleanly using a sharp knife or very sharp small scissors just above a leaf node. You don’t want to be leaving a long bare stalk on the plant which will be prone to rotting or admitting disease. 2. If you can’t use them straightaway, put your cuttings in a polythene bag and seal (zip-lock is ideal). 3. Use modules, tall and skinny better than flat and wide. 4. 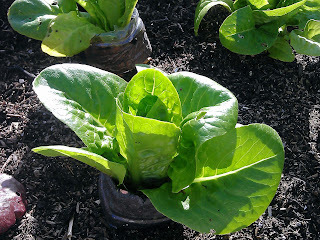 Fill the modules with cuttings compost, not too finely textured. Firm the tops lightly, and water thoroughly. Leave to drain. 5. Prepare your cuttings. 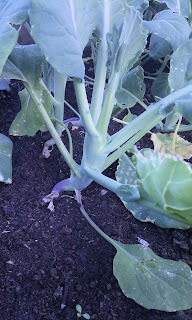 Trim the stem just below the bottom leaf nodes. Remove the bottom leaves so that you have 3-4 leaves left at the top. Don’t peel or tear the leaves away: again, cut as cleanly as possible. 6. Take a dibber – my ‘dibber’ is a pencil, which is about the right width – and dip the pencil into the compost in each module to a depth of about 2cm. 7. Drop each cutting into the hole left by the dibber. Don’t bury the leaves - they should remain clear of the compost. 8. Use your fingers to firm the compost around the cutting. 10. 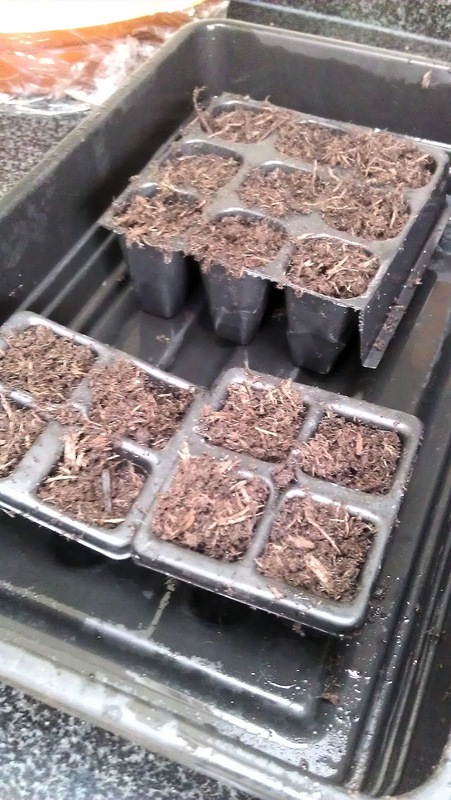 Place the potted cuttings in a seed tray or propagator. Cover with a clear plastic lid. 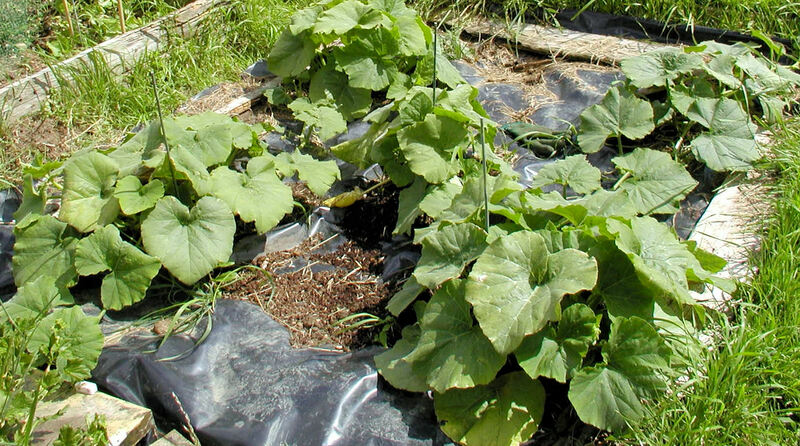 Or a polythene bag secured over the cuttings will do, so long as the polythene doesn’t actually touch any part of the plants. 11. 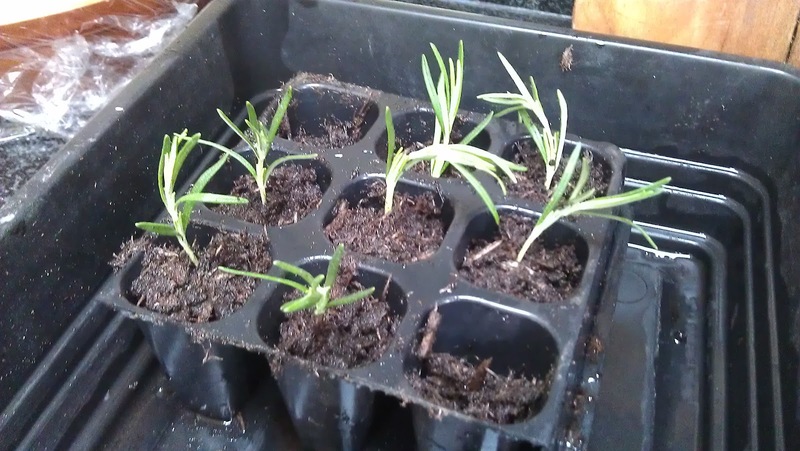 Move the tray or propagator to a spot out of direct sunlight for 2-3 days to give the cuttings a chance to recover, then move to a warm light, sheltered spot indoors. 12. 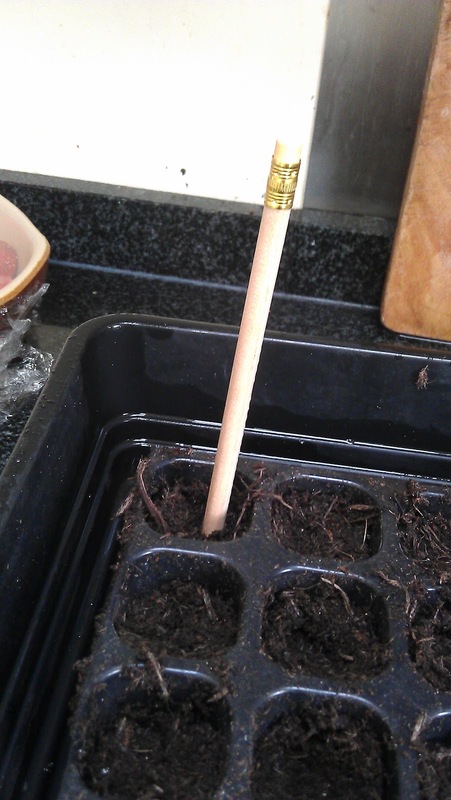 Resist the temptation to check and pull at your cuttings. Take a look every so often and if there is any sign of wilting give the propagator some ventilation (punch a small hole in the polythene bag). 13. After 3-4 weeks, have a look at the bottom of the modules. If there is any sign of roots poking through, you can remove the lid altogether. 14. 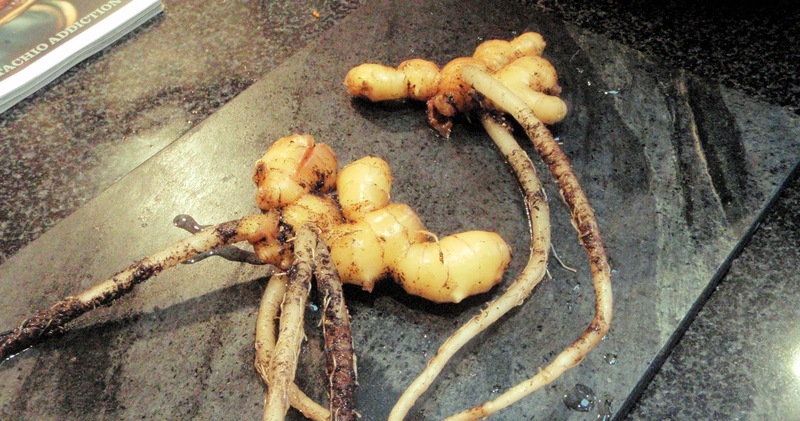 Leave the rooted plants to form a string root ball before potting up into small pots (about 8 weeks). 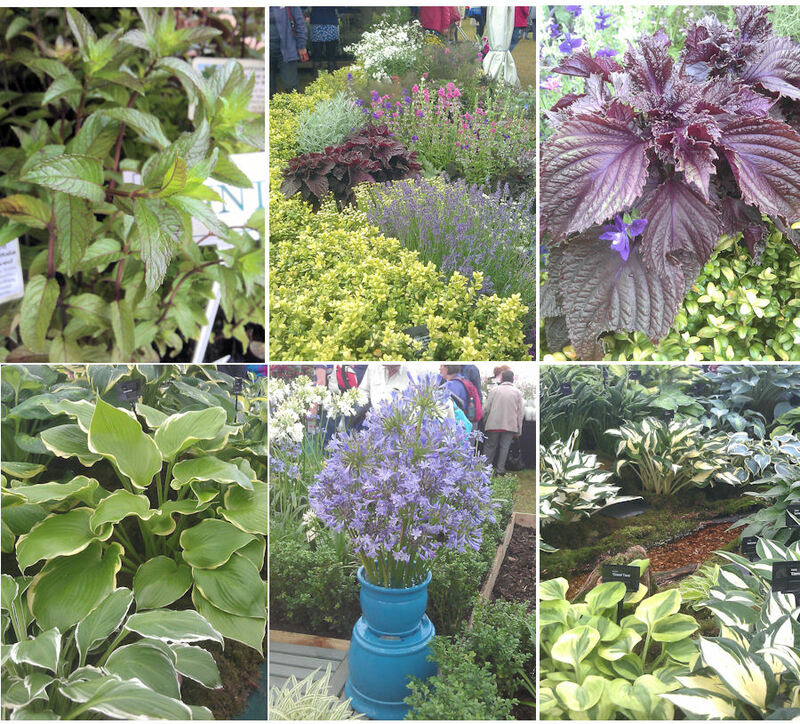 A wet day at Hampton Court Flower Show drove us straight into the Growing For Taste marquee where we met up with old favourites like Seeds Of Italy - I'll be trying some of its giant-leaved Neapolitan basil, Pennards, The Garlic Farm and Dobies, and found new exhibitors in Otter Farm's Edible Forest Garden and Plants4Presents' exotic herbs and spices. 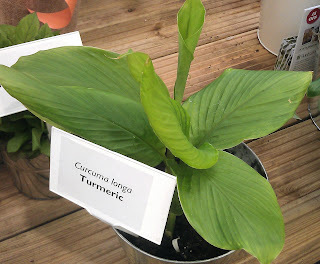 turmeric, ginger, cardamom and curry plants. 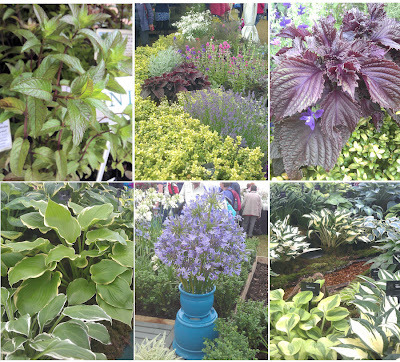 From top, left to right: chocolate mint plants, the herb display and Perilla frutescans at Jekka's Herb Farm stand. Bottom rotw, hostas and agapanthus in the Floral Marquee. After what seems like weeks of wind and cold and rain, it only takes a couple of sunny days and suddenly it looks as though we might get some produce this year. 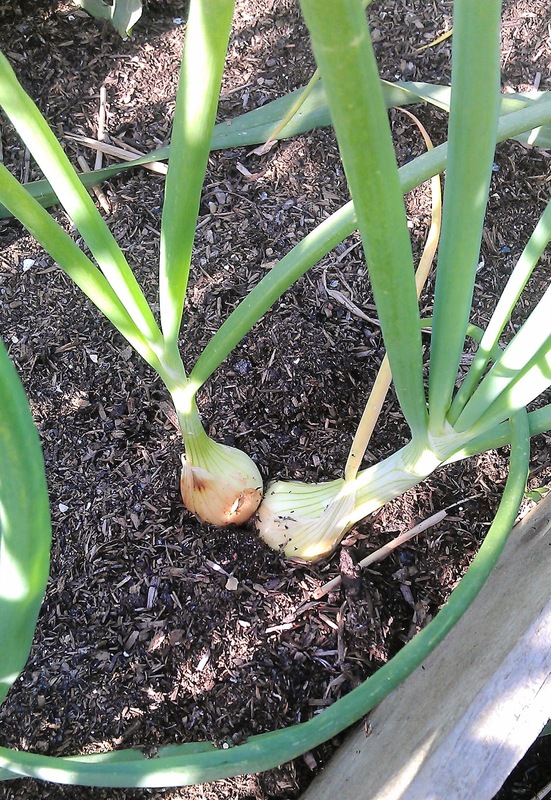 These are tree onions, or Egyptian walking onions, which is a much more exotic name by far. These edible bulblets are produced at the top of the stems. Walla Walla sweet onions, grown from seed, beginning to swell at last. These Quattro Stagione lettuces have been looking like limp flattened seedlings, but are now finally beginning to heart up. Little Gems are also putting on new growth fast. 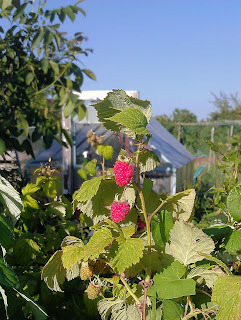 Last week they were immature white buds; this week, we have raspberries! Hosts of strawberries hang down over the side of the raised bed. 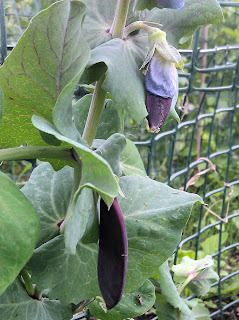 Purple-podded mange tout peas need another couple of weeks before they're ready to eat, I think. 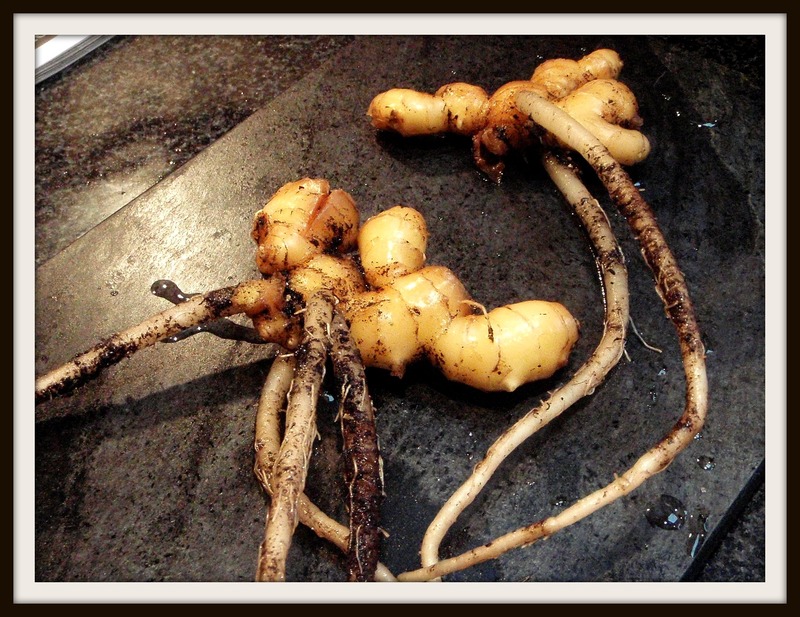 I harvested the first of the kailans, this week. Slightly later than usual but then everything is shaping up to be 'slightly later' this year. This has been a must-grow crop for me ever since I discovered how unobtainable they are in the UK after feasting on them during a trip to Singapore in the 1990s. 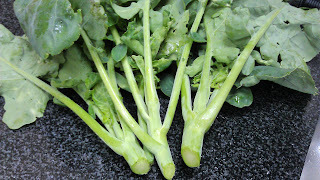 Kailans are a type of brassica with thick juicy stems, deep green leaves and a small head of florets. 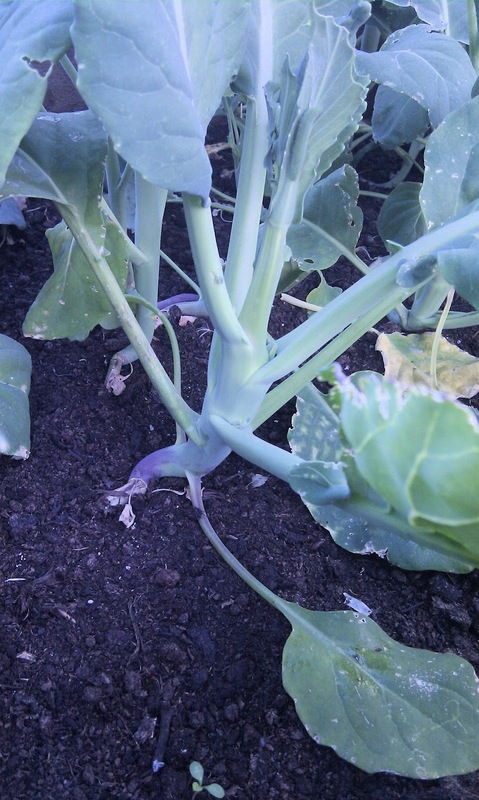 Joy Larkcom calls it Chinese broccoli in her essential text Grow Your Own Vegetables and certainly in looks they are closest to the type of broccoli sold as 'tenderstem' by Waitrose and others. Not the same, though. Kailan stems have a distinctly nutty mustardy flavour. It makes other types of broccoli seem bland in comparison. It's not totally unobtainable in the UK. There's usually a crate of kailans set outside the Loon Fung supermarket in London's Chinatown and the New Loon Moon on the other side of the street. But that's the only reliable source of supply I've found other than growing my own - if you know of a UK supplier, do please share the secret. Despite being mainly thought of as an oriental vegetable, they grow much like any other brassica here in the UK. I sow the seeds indoors in modules in March, then slowly harden them off as they grow, moving them out of the propagator as they germinate on to a sunny windowsill, then into the patio greenhouse and finally, around four weeks after the shoots appeared, outside. 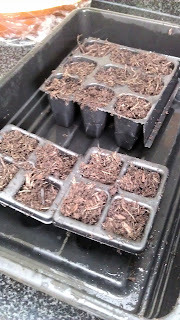 Once they are about three inches tall and with proper leaves, I transplant the seedlings into a raised bed with lots of good compost. 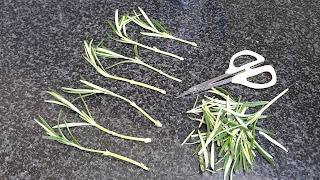 The first stems are ready to cut after about six weeks. 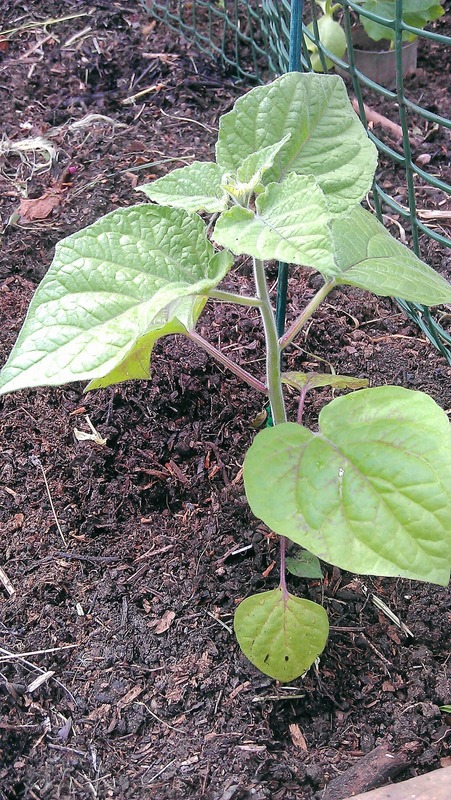 If you leave a good bit of stem and leaf on the plant when you cut, the stem will regrow, making kailans a reliable cut-and-come-again crop. 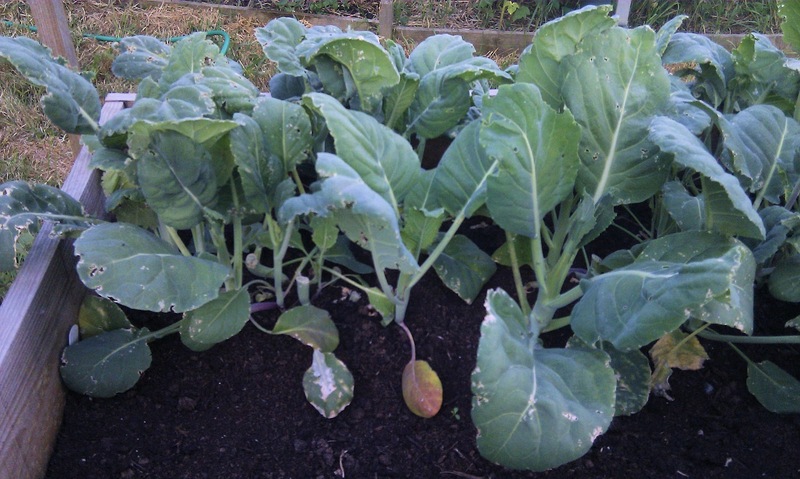 Harvested regularly, each plant will keep going until the first frosts. Once the stems are in the kitchen, I tend to cook them very simply.The big tough foliage needs to be trimmed off, leaving a good plump stem plus the younger, smaller leaves. 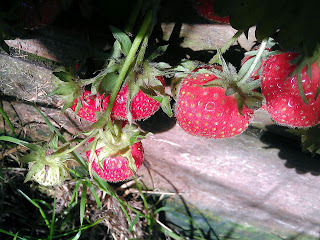 A quick wash and a shake to dislodge any clinging insects and then they can be either steamed or boiled briefly - I like to leave a bit of crunch in the stalks. The Chinese often drizzle oyster sauce over kailans; in Singapore I ate them dressed with garlic in oil. Either of these are good, as is a quick slug of soy sauce and sesame oil. Yesterday I smeared the stems with an anchovy butter which I'd originally made for the last of the asparagus: the savoury bite from the anchovies went well with the nutty taste of the kailans. to provide you with another harvest.